Ghana’s vibrant media has played an important role in the country’s democratization. From its strong advocacy during the country’s struggles for independence and democratic rule to its current watchdog role for society, the Ghanaian media has continually set the agenda on matters of critical importance, sustained the discourse, and effected change. 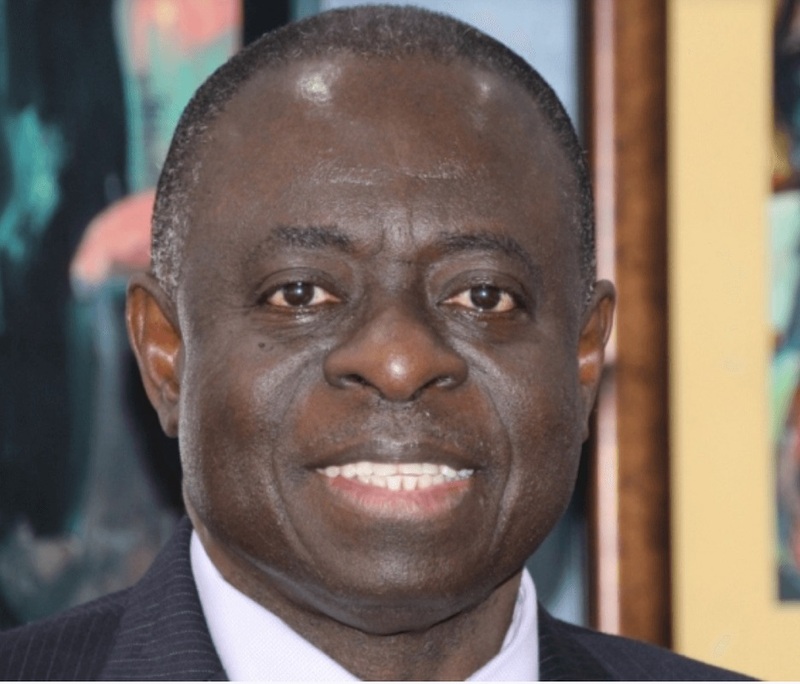 This has earned Ghana a reputation as one of the most media-friendly countries in the world, rising steadily on the World Press Freedom Index from 67th in 2002 to 23rd in 2018, from 19th among African countries to No. 1 (Reporters Without Borders, 2002; 2018). This success has relied on constitutional provisions for a free and independent press, including laws against censorship, government interference, and harassment (Constitution of Ghana, 1992). These provisions have not always protected the media, however: A libel and sedition law allowed authorities to intimidate and criminalize the media until its repeal in 2001 (Ampomah, 2011), and Ghana’s Criminal Code still contains remnants of restrictive laws from the era of authoritarian rule that limit media freedom (Akufo-Addo, 2011). Journalists can still be charged with offensive conduct that may breach the peace and with publishing false news that may cause public fear, alarm, and panic. On World Press Freedom Day (May 3), President Nana Akufo-Addo called on governments around the world to defend the freedoms of the media in order to promote accountable governance (Ghanaweb, 2018). And the media and various civil society organizations have been advocating for the passage of a 17-year-old Right to Information Bill (RTI), which would guarantee citizens equal rights to access information in the custody of any public institution in accordance with Article 31F of the 1992 Constitution (Myjoyonline, 2018a). 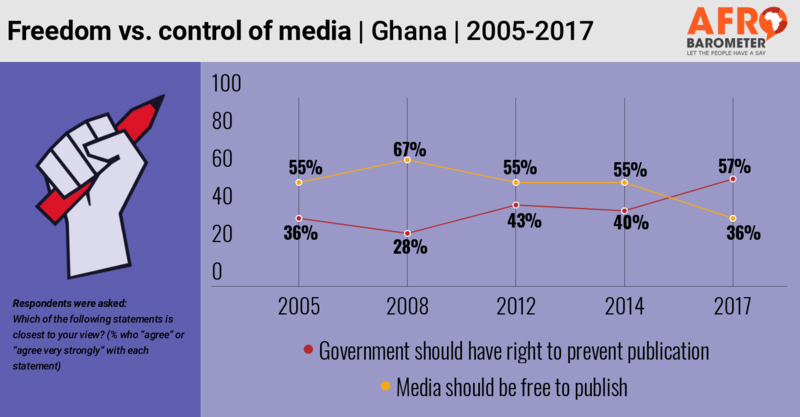 However, popular support for a free media has dropped sharply in Ghana: According to Afrobarometer survey data, a majority of citizens now say the government should have the right to prevent the media from publishing things that it considers harmful to society. Survey findings also show that most Ghanaians rely on radio and television for their news, though social media and the Internet are growing in importance as news sources, especially among young and well-educated citizens. A majority of citizens say they trust information from the media, but many also see at least some members of the media as corrupt.